Netflix and Paramount pulled off quite the surprise on Super Bowl Sunday, not only announcing that Cloverfield 3, now titled The Cloverfield Paradox, was heading to Netflix, but also that it would be available to watch directly after the big game. This lead many fans to wonder about the status of Cloverfield 4, which is believed to be titled Overlord, and whether or not that will also end up on Netflix, or if it will keep its October 26, 2018 release date. A Paramount spokesperson confirmed that Overlord will still receive a theatrical release as planned. This news comes just after a report surfaced revealing Netflix paid $50 million for The Cloverfield Paradox, which was confirmed by The Wrap. 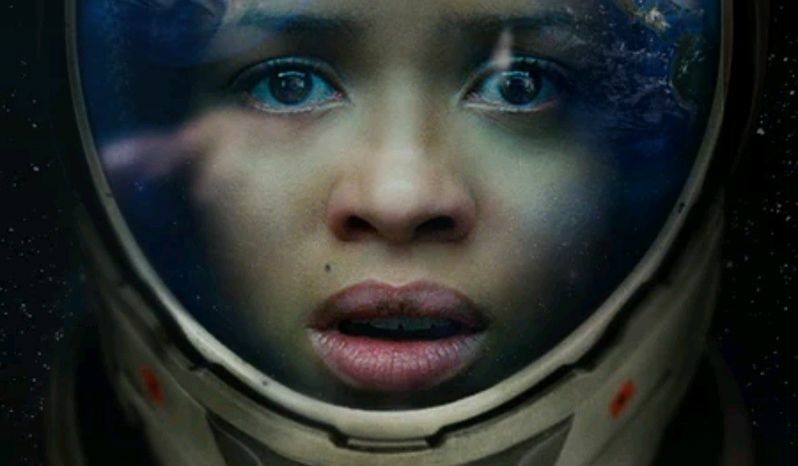 Their source claimed the deal for The Cloverfield Paradox was a "one-off" that made the film "immediately profitable" for the studio. The source also revealed that the surprise Super Bowl release of The Cloverfield Paradox fell in line with the mysterious nature of this franchise, dating back to 2007, when the first trailer revealed just some bits and pieces of cryptic footage, including a decapitated Statue of Liberty, with no title for the movie, which was later revealed to be Cloverfield. The $50 million Netflix paid for the film offset the ballooning $40 million budget, which increased substantially due to costly reshoots, and instead of spending millions more to promote the movie, they took the deal with Netflix. The studio may have also been aware of the movie's shortcomings, which lead to this unique Netflix deal, which may have been the right move, given the divisive critical reaction to the movie. The Cloverfield Paradox currently has a 19% rating on Rotten Tomatoes, a vastly lower score than 2016's 10 Cloverfield Lane (90%) and even the original Cloverfield (77%) from 2008. Related: Did J.J. Abrams Already Finish Cloverfield 4 in Secret? As for Cloverfield 4/Overlord, speculation surfaced back in March 2017 that this WWII thriller was really the fourth installment in the Cloverfield franchise, with sources confirming that Overlord is the next movie in the franchise. The story is set on the eve of D-Day, where American paratroopers are tasked with a mission behind enemy lines that will be vital to the invasion's success. Once inside this Nazi-occupied village, they learn that they will also be facing deadly supernatural forces, as part of a Nazi experiment. Julius Avery (Son of a Gun) directs from a script by Billy Ray (The Hunger Games) and Mark L. Smith (The Revenant). The ensemble cast for Overlord is lead by Jovan Adepo and Wyatt Russell as the two paratroopers sent behind enemy lines, with the supporting cast including Jacob Anderson, Dominic Applewhite, Pilou Asbaek, Iain de Caestecker, John Magaro, Mathilde Ollivier and Bokeem Woodbine. The Bad Robot production is produced by J.J. Abrams and Lindsey Weber, with the movie currently occupying the October 26, 2018 release date by itself, with Universal's Halloween arriving on October 19 and 20th Century Fox's Dark Phoenix debuting on November 2. The Wrap first reported on Overlord keeping its theatrical release date.